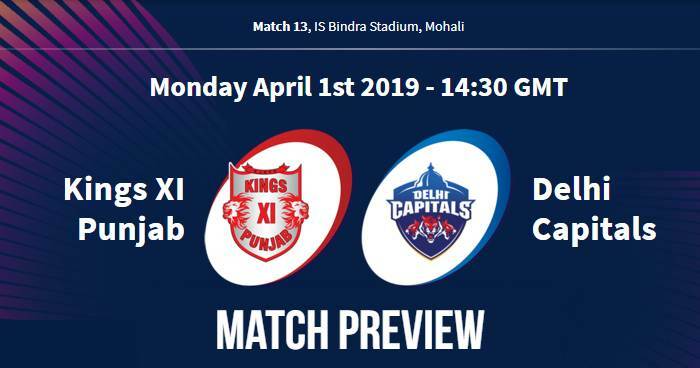 Kings XI Punjab (KXIP) will take on Delhi Capitals (DC) in the 13th match of Indian Premier League - IPL 2019 on 1 April 2019 at IS Bindra Stadium, Mohali. As far as weather is concerned, the temperature will be below 25°C and humidity above 40% during match hours. The average first-innings score is 169. The average bounce here over the last three years hasn't been that great when you compare with a stadium like Wankhede. There might not be much pace or bounce to work with although batting should still be alright if you dig in. Slower balls when not pitched fuller can be handy. Chennai Super Kings till have won both the matches in the tournament and looking in good form. Currently, Rajasthan Royals are at the bottom of the points table with losing both matches in the tournament. Both Kings XI Punjab and Delhi Capitals have played 3 matches in this season and winning 2 each. Delhi Capitals are also likely to continue with the winning combination playing XI. Kings XI Punjab (KXIP) and Delhi Capitals (DC) had encountered 22 times in Indian Premier League (IPL) history; 13 times Kings XI Punjab won and Delhi Capitals managed to get 9 wins. In last 5 games, Delhi capitals managed to win only 1 of them and Kings XI Punjab won 4 matches. 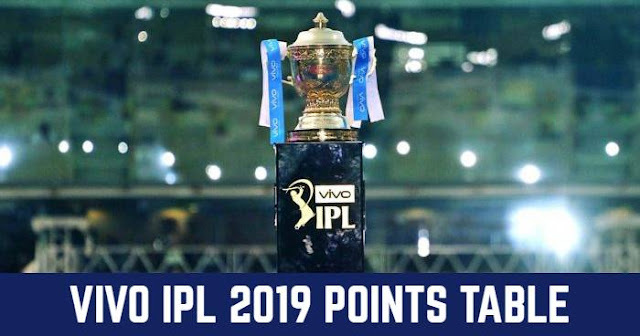 Playing XI for KXIP: Ravichandran Ashwin (c), Lokesh Rahul (wk), Chris Gayle, Mayank Agarwal, Sarfaraz Khan, David Miller, Mandeep Singh, Hardus Viljoen, Murugan Ashwin, Mohammed Shami, Andrew Tye.